It doesn't get more clumsy than this. 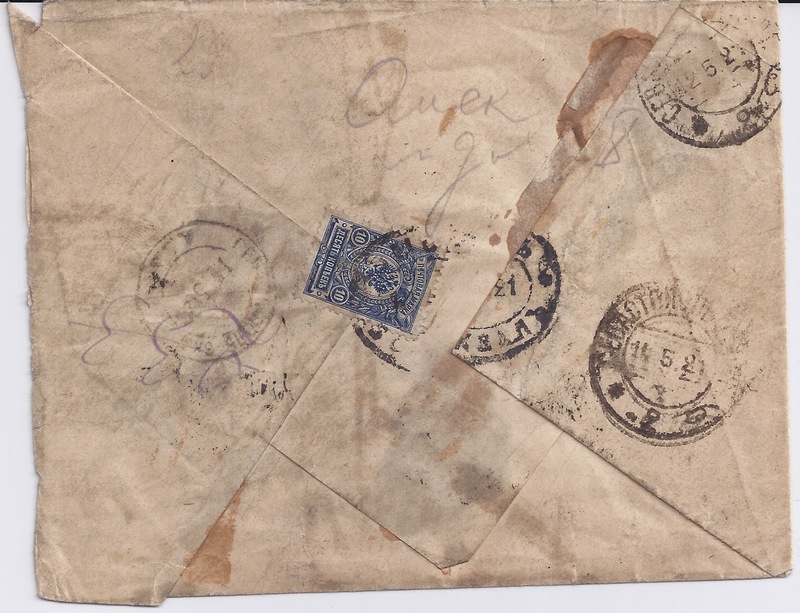 In World War One, Imperial Russian mail censorship was extensive and acknowledged - when letters were opened they were re-sealed with official wax seals or paper strips. In Bolshevik Russia, the censorship of mail was never acknowledged but is usually indicated in some way, notably in the 1918 - 23 period by what are called "Three Triangle" cancellations. There are a large number of these in use in the early Soviet period. 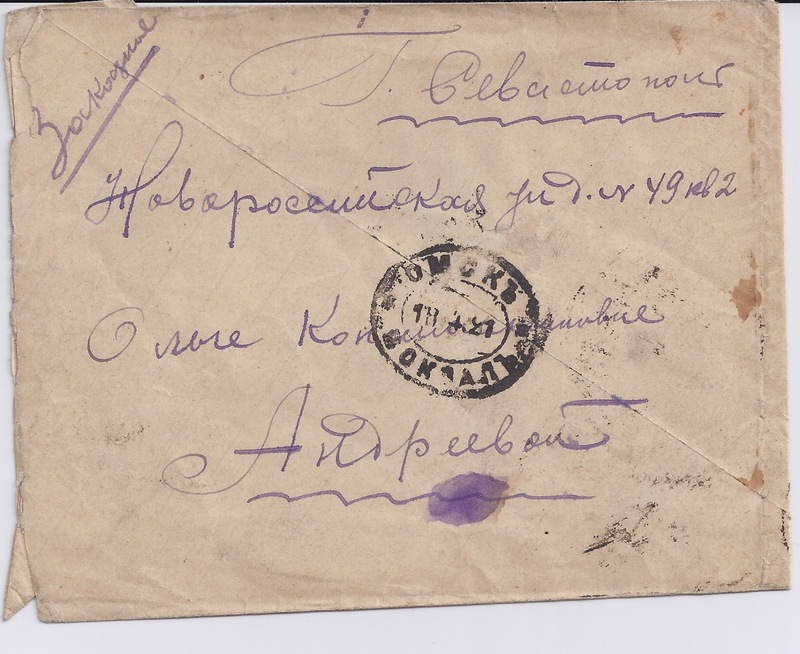 The letter above was posted (as a registered letter) from OMSK VOKSAL 18 4 21 using a hand-made envelope. It is addressed to Sevastopol and there is a receiver cancel SEVASTOPOL ... "2" , 12 5 21 which is repeated with the date 14 5 21. But there is also a Sevastopol Three Triangle censor cancellation, smaller in size than the regular postmarks, which seems to be dated 11 5 21 - quite often the date will fall after the date shown on the regular arrival cancellation but in this case not. There are various registry marks in manuscript. In May - June 1921, Omsk was still a city quite recently captured by Red forces. Sevastopol was even more recently taken by the Reds - it was from the Crimea that the remaining White forces of General Wrangel evacuated at the end of 1920. The letter is an obvious candidate for a censor's interest. Labels: RSFSR postal history, Russia Three Triangle censor marks, Russian postal censorship 1917 - 23.